Hypothyroidism occurs when the thyroid gland produces too little of the thyroid hormone. As the purpose of the thyroid is to keep your body’s metabolism running, people with Hypothyroidism have a slower metabolism. Symptoms may include any of the following: feeling run down, slow, depressed, sluggish, cold, tired, having dry skin and hair, constipation, muscle cramps, or weight gain. In the United States, most cases of hypothyroidism are caused by a condition called Hashimoto’s thyroiditis, in which a patient’s immune system attacks and destroys the thyroid. Worldwide, the most common cause of hypothyroidism is lack of iodine in the diet. Hypothyroidism can also be caused by certain medications, be present from birth, occur during or after pregnancy or even from inflammation during a viral infection. A history of symptoms, a physical examination and laboratory tests that measure the amount of thyroid-stimulating hormone (TSH) in your blood are the first steps. 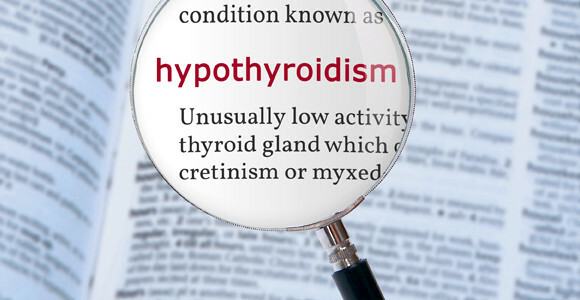 Taking a measurement of thyroid hormone (thyroxine,or T4) and the detection of antithyroid antibodies that attack the thyroid may help in diagnosing the cause of Hypothyroidism. Synthetic thyroxine: Thyroxine (T4) is the major hormone produced by the thyroid gland and pure synthetic T4, taken once daily by mouth, successfully treats the symptoms of hypothyroidism in most patients. For the few patients who do not feel completely normal taking T4 alone, the combination of synthetic T4 and T3 (Cytomel®) may be of benefit. Desiccated (dried and powdered) animal thyroid: now mainly obtained from pigs,was the most common form of thyroid therapy 40 years ago before T4 was able to be synthesized in a pure form. Long-term follow-up and family members at risk. If you have Hypothyroidism, you need to see your doctor for follow-up at least once a year so that your hormone levels can be checked and your dose adjusted. Because hypothyroidism often runs in families, examinations of your family members may reveal other individuals with thyroid problems.